Today is Hoshanah Rabbah, the seventh day of Sukkot, and also marks the yahrzeit of Rabbi Ignácz (Isaac) Lichtenstein, one of our great Messianic Jewish forbearers. Rav Lichtenstein was born in 1824, and became a rabbi before turning 20 years old. After officiating for several years in different communities in northern Hungary, he finally settled down as the Chief/District Rabbi in Tápiószele, where he remained for nearly 40 years. 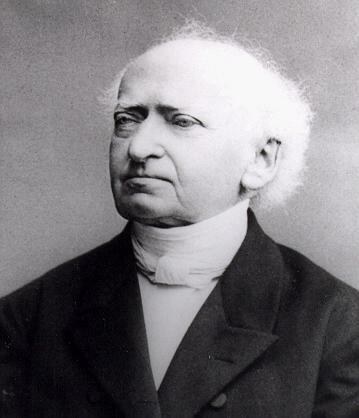 Early in his career, one of his teachers in the communal school of the district casually showed him a German Bible. Turning the leaves, his eye fell on the name “Jesu Christi.” He became angry and reproved the teacher for having such a thing in his possession. Taking the book, he flung it across the room in a rage; it fell behind a shelf where, dusty and forgotten, it lay for some thirty-odd years. In April of 1882 a fierce wave of anti-Semitism broke out in Hungary, culminating in the now historic “Tisza Eslar affair.” As is often the case, the blood libel was ultimately demonstrated to be false and baseless – thanks largely to a number of prominent Christian leaders, most notably Dr. Franz Delitzsch, a Biblical scholar and Professor at Leipzig University, who rose to the occasion to defend the Jewish people against the outlandish blood libel. For two or three years Rabbi Lichtenstein kept these convictions a secret. However, in time, he slowly began to teach some of these strange and new doctrines in his synagogue which both interested and astonished his hearers. At last he could contain himself no longer. On one Shabbat, while teaching on a parable of Yeshua, he openly proclaimed that his subject was taken from the New Testament and spoke of Yeshua as the true Messiah and Redeemer of Israel. 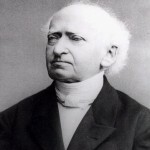 He ultimately embodied his ideas in three publications appearing in rapid succession which created a tremendous sensation within the Jewish community, not only in Hungary, but throughout Europe. Here was an old and respected Rabbi, still in office, calling upon his people in burning words to align themselves under the banner of the long-despised Yeshua of Nazareth, and to hail Him as their true Messiah and King. A storm of persecution quickly broke out against him. From the Jewish pulpit and in the Press, insults were hurled against Lichtenstein, and he who but a few weeks before was considered among the noblest leaders and teachers was now described as a disgrace to his nation. Falsehoods were spread against him and he was eventually cited to appear before the assembled rabbinate in Budapest. Chief Rabbi Kohn proposed a compromise. Rabbi Lichtenstein might believe whatever he liked in his heart, if he would only refrain from preaching about Yeshua publicly. The Synod of Rabbis would draw up a document stating that what Rabbi Lichtenstein wrote was done in a temporary fit of insanity and all he would have to do would be to add his name to this statement. Rabbi Lichtenstein answered calmly but indignantly that this was a strange proposal to make. When it was clear he would not sign the document, they demanded that Lichtenstein should resign his position and be formally baptized to indicate that he was leaving the Jewish people. But he replied that he had no intention of joining the church and had found in the New Testament the true Judaism, and would remain as before with his congregation, and teach it in the synagogue. And he did so … in spite of tremendous persecution and reproaches. From his official position as the District Rabbi he continued to teach and preach from the New Testament. This was also a testimony to the strong commitment of his own community, which alone had the power to request his dismissal. In fact, much pressure was brought against members of his congregation, and relatives of his wife were completely ruined financially; but still they supported their esteemed rabbi. Finally, after losing all his abilities to save the members of his congregation from total ruin, and with his health greatly deteriorating as a consequence of his bold stand, he voluntarily resigned his office as District Rabbi. He then settled in Budapest, but the opposition to him was relentless. He was shadowed and even physically attacked on the street. His barber was bribed to disfigure his beautiful beard. His landlord kept a close watch on everyone who visited him and reported to the rabbinical authorities. But, with all of this opposition also came interviews and discussions from fellow Jews from every walk of life. 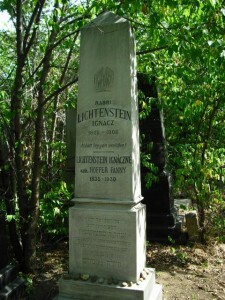 Rav Lichtenstein’s recently restored tombstone in the Central Jewish Cemetery in Budapest. Courtesy of Zsolt Marton. On the morning of Hoshanah Rabbah, Friday, October 16, 1908, at the age of 85, Rabbi Lichtenstein entered into Paradise. On this Hoshanah Rabbah, a day of joy and celebration, we also remember Rabbi Lichtenstein. A collection of his writings, The Everlasting Jew: Selected Writings of Rabbi Isaac Lichtenstein, is now available through First Fruits of Zion. Zichrono livracha … May his memory continue to bless and inspire us until Mashiach returns! This entry was posted in Uncategorized and tagged Apologetics, Chasdei Yeshua, Hoshanah Rabbah, Messianic Jews, Messianic Judaism, pre-war Messianic Judaism, Sukkot, What Your Rabbi Hasn't Told You. Bookmark the permalink. 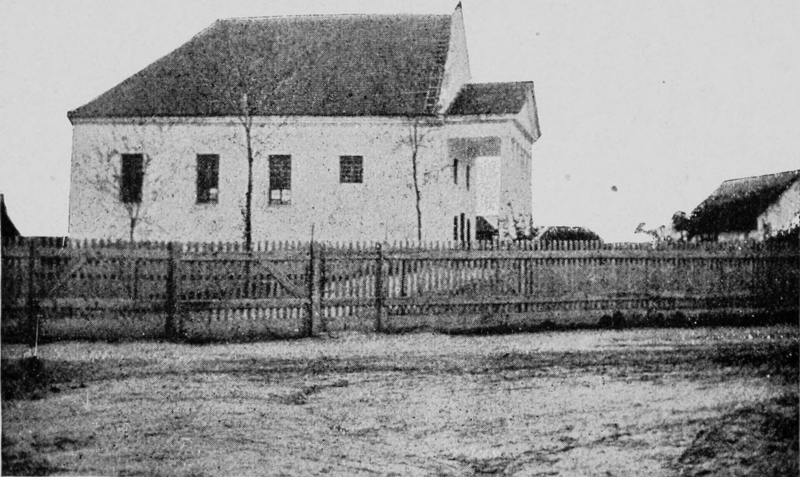 Here is a contemporary photograph of the Tapio Szele Synagogue at which Rabbi Lichtenstein served. Contemporary translations of Rabbi Lichtenstein’s German language works into English were made by Fanny Baron (wife of David Baron, co-founder of Hebrew Christian Testimony to Israel) around the turn of the 20th century. Sadly, some of Lichtenstein’s works are without English language translations to this day. I know Jorge Quiñónez was working on a Lichtenstein anthology a few years ago, but I don’t think it has been published yet. It’s a beautiful excerpt from the writings of Lichtenstein. I translated it into Dutch. Thanks a lot, also for the other posts about historical Messianic Rabbi’s. I am a baptist pastor in Budapest, and now prepare for the MA diploma. I ask if had any information of Lichtenstein rabbi, please send it to me. Where he died, where he was buried, was called to his wife, was called to her children, even in Europe where served. interested in any information. Now researchers at the Pest county archives, if I find I can publish my material. Thank you very much. 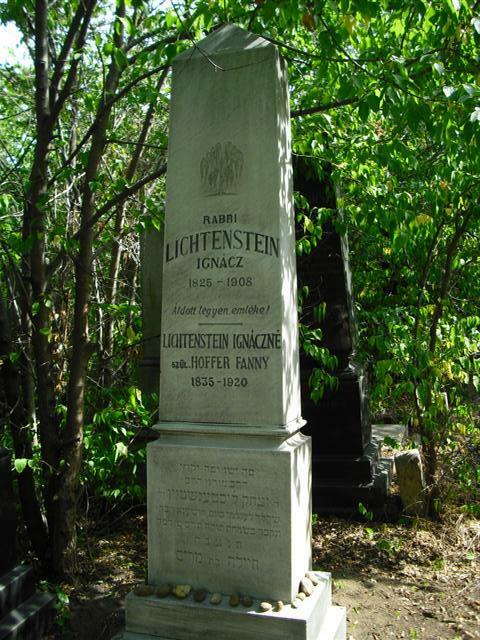 I found the tombstone of Rabbi Lichtenstein in Budapest Central Jewish Cemetery. I wrote my thesis, I found a lot of evidence rabbi Lichtenstein. My email address can be obtained. I attach a photo of Lichtenstein facebook page. Is your thesis in English or Magyarul? By the way … if you notice in the discussion above there was a seeming discrepancy on the date of Lichtenstein’s death. What is the date on his tombstone? Also, can you give us the address or some explanation on how to locate his kever (his grave)? My thesis is hungarian language. 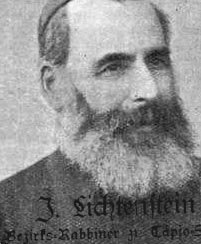 Correct date of rabbi Lichtenstenin death of the 1908th. I have three irrefutable proof. I found the Budapest City Archives of the death certificate. Now becomes the thesis defense, after which I would like to publish. I made a lot of good-quality photos, then upload them also. Tombstone in Tápiószele (Hungary) the Emanuel Lichtenstein. H”ere lies our son dearly beloved brethren and Dr. Mano Lichtenstein (son of Rabbi Lichtenstein, who was a doctor in hospital). died in the life of the 28th year, 11 March 1887.” Picture in facebook.